A simple band with the edition of evenly scored lines. 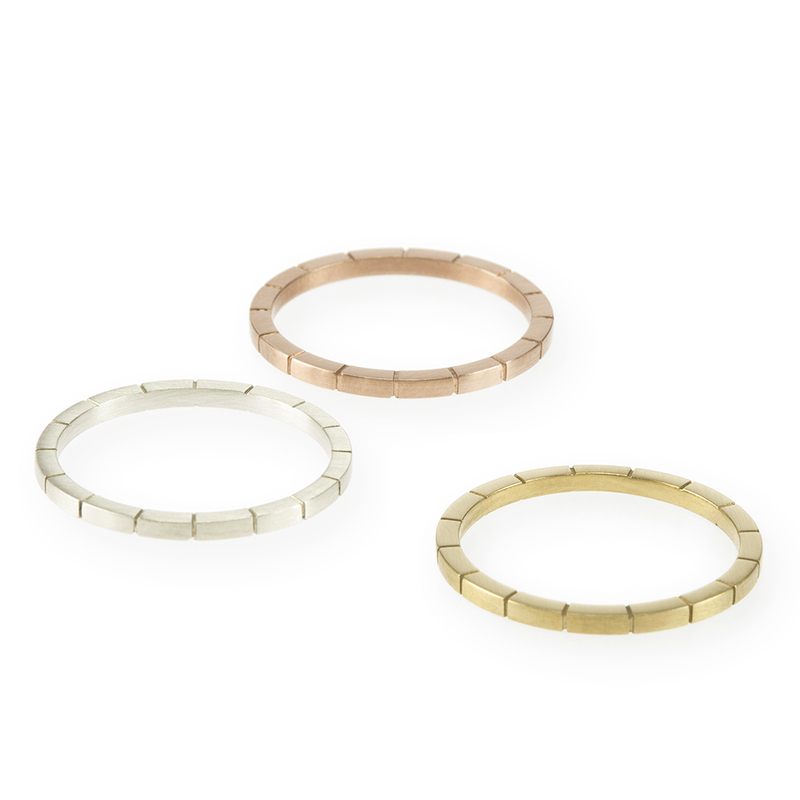 Wear it alone for a delicate look or stack it with more of its own kind or other designs. The band measures 1.2mm by 1.2mm with a soft matte texture. Handcrafted in sterling silver or 9K gold reclaimed form circuit boards. Notify me when Sterling Silver Line Ring is available.